Recently I made a few things for baby L. Miss R kept asking, "Who is this for?" and I kept on telling her they were for her baby sister. Then one day I said the next thing I made would be for her. Her eyes lit up! 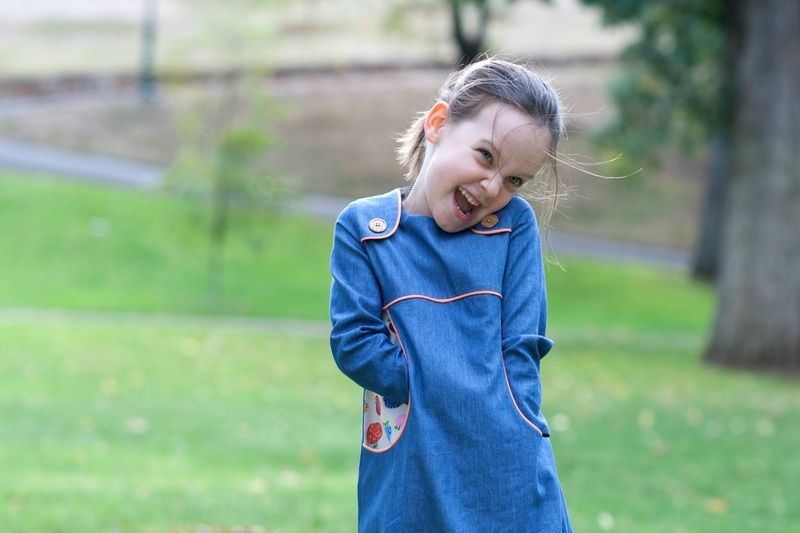 While she was sleeping, I made the Miss Polly dress for my sweet Miss R.
Miss Polly is the latest pattern released by my sewing and blogging friend Suz, a talented lady behind Sewpony Vintage patterns. Suz also blogs at Sewpony. I fell in love with this design the day Suz revealed it. This dress has such unique details and beautiful lines. 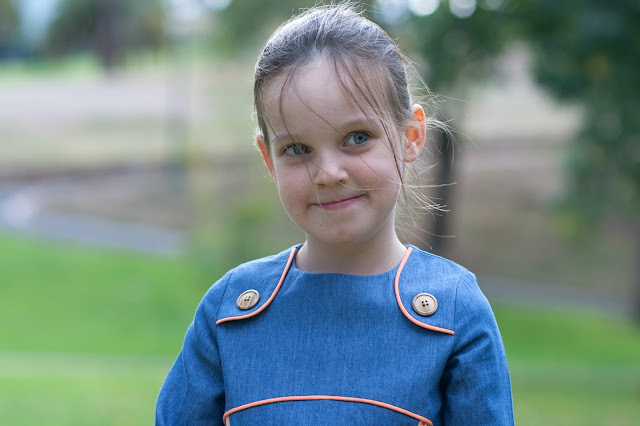 I knew that Miss R will love the pocket and the buttons. However I wanted to make sure she liked the design before I made the dress, so I showed her a few testers' photos. Miss R especially loved this dress sewn by Emi (because it has purple) and this dress made by Maarika (because it has so many birds). Together Miss R and I chose fabric for her dress. Well, I may have not given her much choice about the main fabric because I am a tiny little bit obsessed with denim... OK, totally obsessed! 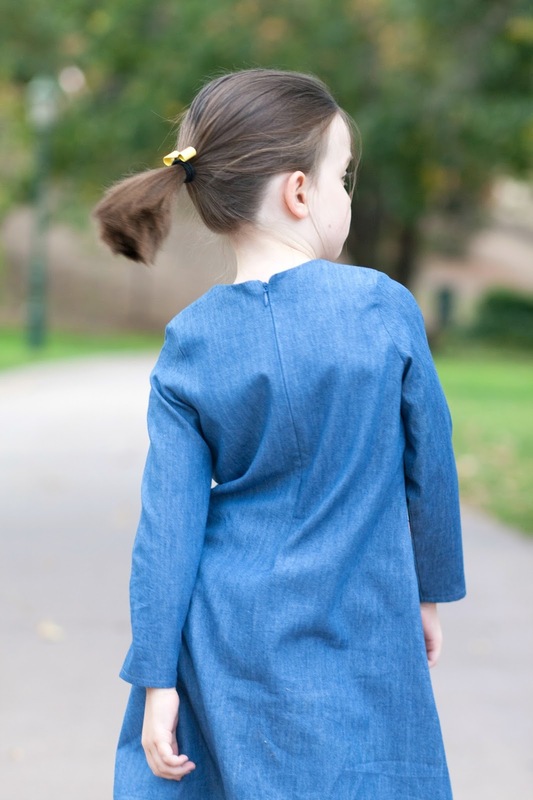 I felt such a relief when Miss R approved of it saying she liked this 'shiny blue' chambray. If it was a shade darker it would have been labeled 'boring'! Miss R's choice of contrasting fabric came as a surprise though. It is Japanese cotton poplin I purchased around three years ago. 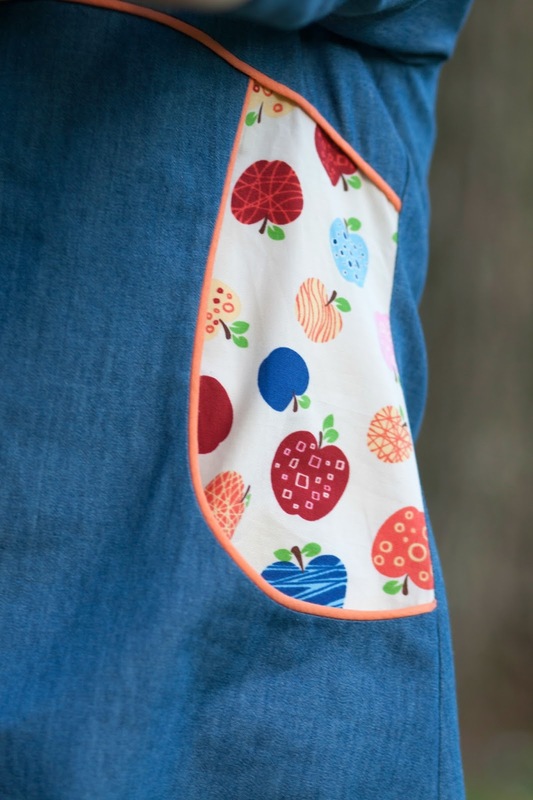 I used it to make an apple shaped pocket on her Debbie's Birthday dress (the pattern is currently unavailable). I tried to suggest this fabric to her in the past but she rejected it every time. I am very glad Miss R changed her mind as I think this fabric is perfect for her new dress. I used this fabric for the bodice lining also. As usual, I made my own piping. I used apricotish-orangish lawn to make the casing. Piping is my favourite trim. 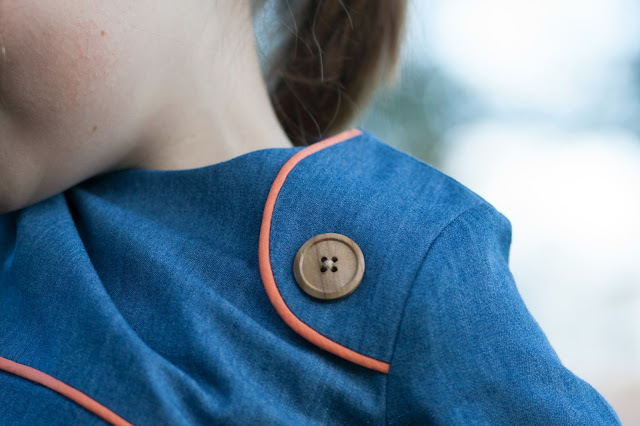 It is a small detail that has a power to completely transform the look of a garment. Piping is not difficult to make. If you have never given it a go Suz will guide you along the way. I would suggest trimming the cord just past seam allowance to reduce bulk in the seams. There is an invisible zipper at the back. With right tools and Suz's brilliant instructions invisible zippers are nothing to be afraid of. This dress was an absolute joy to make. I don't usually use the same pattern twice in one season, but I am glancing at my stash of corduroy wondering if there is enough to make one more Miss Polly dress for my big girlie. The lines of the pattern provide so much room to play with fabric combinations and trim choices to make it look different every time. The only thing I changed while making this dress was the construction of the pocket. I shortened the length of the skirt front piece to the length of the pocket lining to avoid bulk at the hemline. You can see where the pocket ends in this photo where Miss R, my sweet reluctant model, plays with the dress during the photo-shoot. She always plays with her clothes when she is feeling a little anxious. For the record, there is absolutely nothing wrong with the construction of the pocket that Suz suggests in the tutorial. Now, here is what a seamstress would like to know. The Miss Polly dress pattern is available in PDF format and may be printed at home or at a copy shop. Pattern may be printed in colour or black and white. Sizes range from 12 months to 10 years. 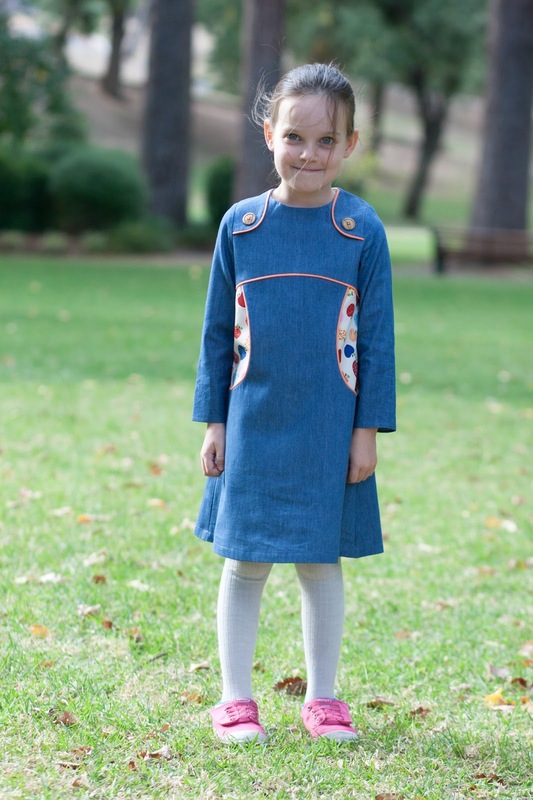 Miss Polly can be made with long, 3/4 or capped sleeves or sleeveless. Size chart is in both metric and imperial. 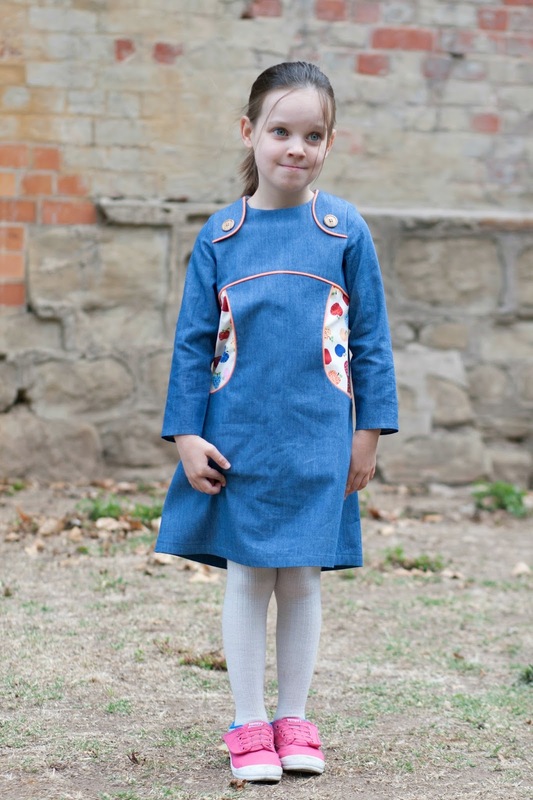 The pattern is available in English, German and Dutch. What would a young girl like to know about this dress? 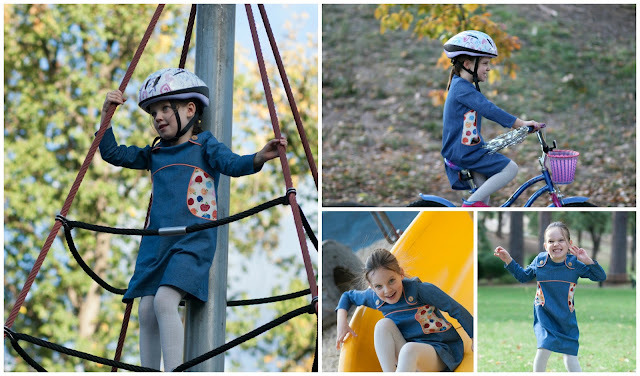 Miss Polly is perfect for climbing, riding a bike, going down a slide and practicing your best roaring dragon impersonation. 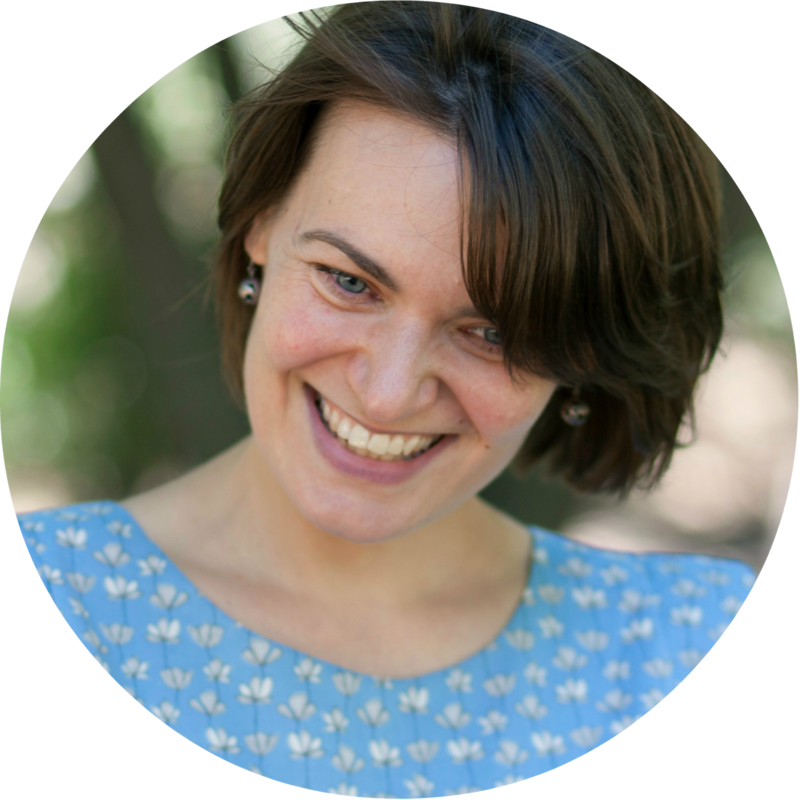 Suz generously offers a 15% discount on all her patterns until the end of day today, the 15th of April. Simply enter the code MISSPOLLY15 at checkout. Please visit other tour participants for inspiration. 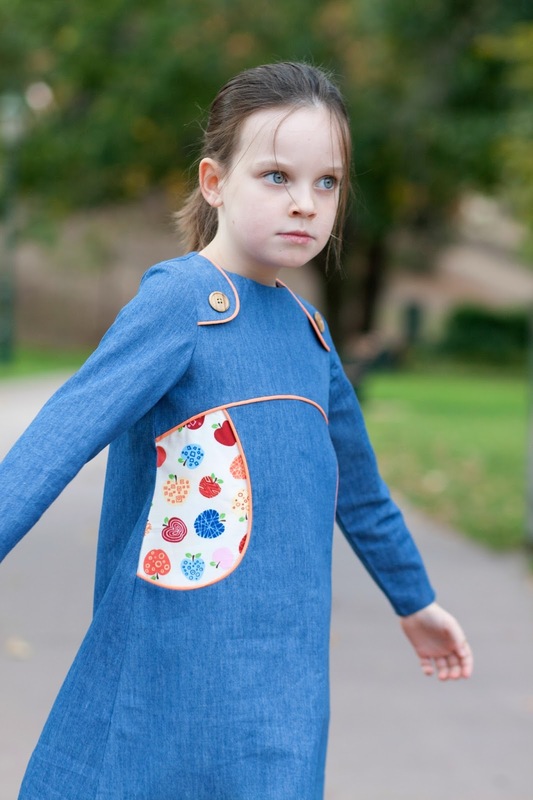 I am sure you will love seeing various interpretations of the Miss Polly dress pattern. Oh so cute!!! I did consider sewing my dress pocket this way but with thinner fabrics, leaving the skirt lining long is better. I lover your dress and thank you for the Lindt!! So cute, Jenya! This dress would be great in cord, too. Thank you Masha. I have a few ideas for this dress, just need time!! The fabric picking teamwork has given a great effct! Thank you :) Picking fabric with my girlie is good fun. Her reasons for liking one or another print are so random at times! So cute! Can't wait to make this one! Lovely photos, too! This is such a sweet version! I absolutely love it in chambray (it matches her beautiful eyes!!!!) -- especially with the apple fabric your girl chose. And thank you for the mention -- I'm so glad your daughter approved of the purple sumo dress. 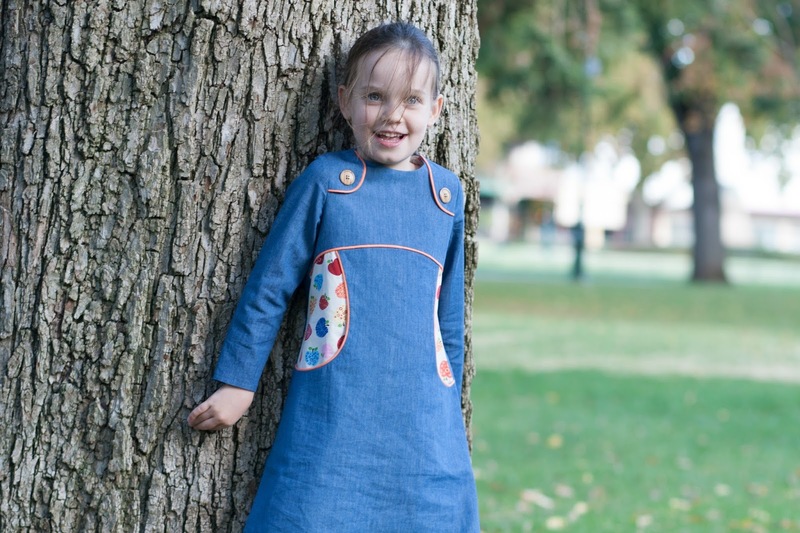 My little one loves it, too ;) I think you should definitely make one in corduroy! Thank you Emi. I was pleased she liked your purple dress as I think she is beginning to explore prints other than florals. So cute! You sure know how to work with denim!